Like most of you, I have a favorites folder FULL of blogs that I visit on a daily basis. A mix of food, fashion, and sports – my blog roll is probably as random as you could possibly imagine. Ironman training articles meet Burberry. Bon Appetit meets Perez Hilton. However, one blog that seems to encompass most of my loves would have to be The Pioneer Woman. If you have yet to experience Ree Drumond, then you are definitely missing out. Going through her recipes one day, I came across her pulled pork recipe. The pork wasn’t what caught my eye…it was the Dr. Pepper. Say wha? Yes, Dr. Pepper. I made this recipe to feed my co-workers for a lunch style BBQ. 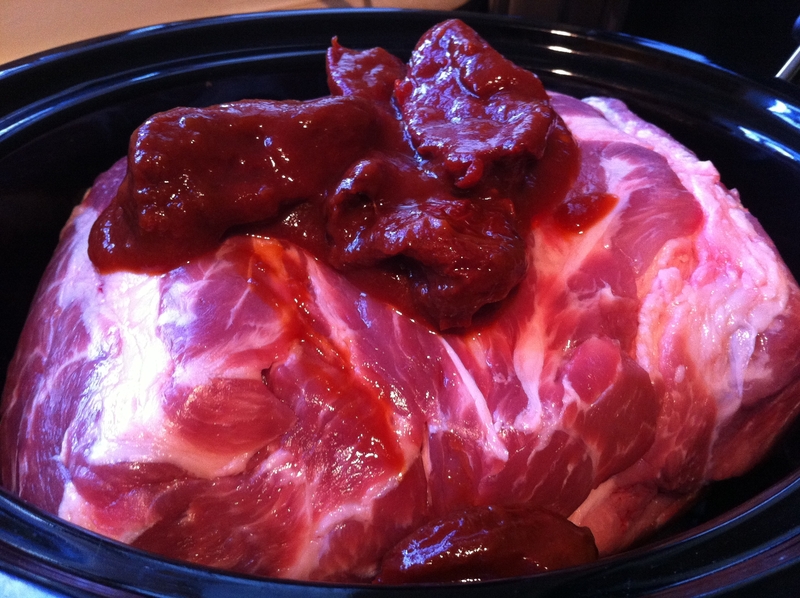 Let’s just say, it was the first to go — and I made about 8 pounds worth of pork shoulder! Peel the onion and cut into wedges. Lay them in the bottom of a large dutch oven or crock pot. Generously salt and pepper the pork roast, then set on top of onions in the pan. Pour the can of Chipotle peppers in Adobe Sauce over the pork (including the sauce). Pour in both cans of Dr. Pepper. Add brown sugar to the juice and stir. 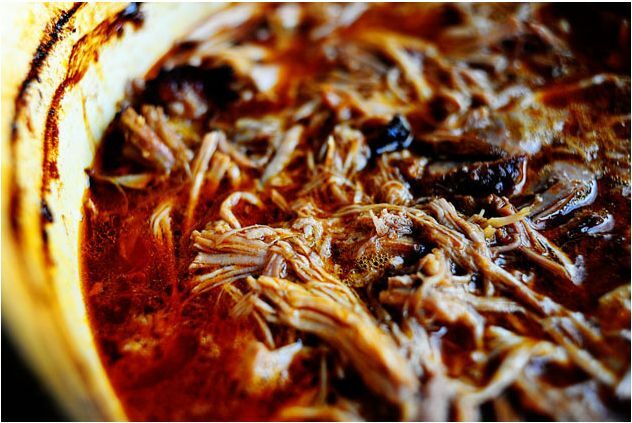 Place lid tightly on pot, then set into oven (please don’t put your crock pot in the oven!) Cook for at least six hours, turning the pork two or three times during the cooking process. Check meet after six hours; it should be absolutely falling apart (use two forks to test). If it is not falling apart, return to heat and let cook another hour. Remove meat from pot and place on cutting board or other work surface. 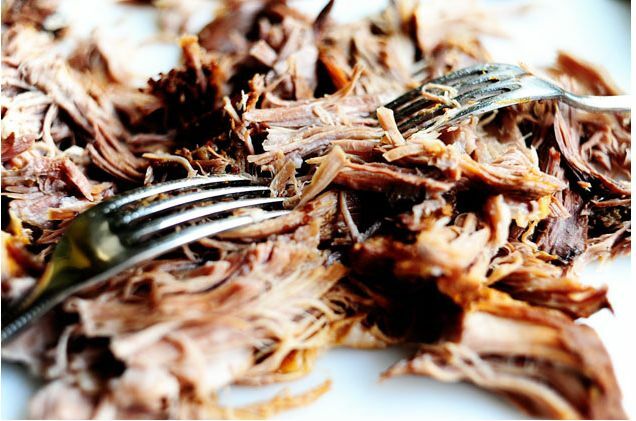 Use two forks to shred meat, discarding large pieces of fat. Strain as much of the fat off the top of the cooking liquid as you can and discard it. Serve and enjoy! Serve it on tortillas or in a bun, or on its own. It’s that good!